Do you have a hobby? Why not use your hobbies for trip ideas? That's a great focus for a trip that will be special for you. We have lots of hobbies, and each one can get us to places we might not go to otherwise. Forget the standard tour idea. ..But use your hobbies for trip ideas, and you'll go to places you might overlook otherwise. OK... maybe if you're a stamp collector, you'll end up in museums that house collections or haunting post offices, but there are lots of hobbies that make a great basis for a trip. We even have a little vineyard in our backyard. 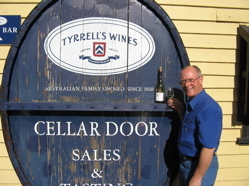 Just one of our hobbies for trip ideas.... and we HAVE visited vineyards and tasted wine all over the world. Australia was really great for that, but we had fun in France, Germany, Italy, Spain… even Hungary. The wine list goes on and on. I'm not really a good golfer, but my brother is. 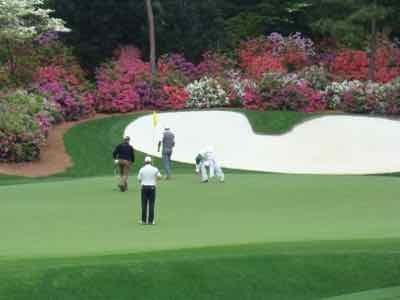 We went to the practice rounds of the Masters Golf Tournament a couple of years ago and had a great time. We had time to explore Atlanta, the area around Augusta, and we made it up to the Biltmore Estate before we came home. There are plenty of great areas for golfing vacations around the U.S. Scotland, England and Ireland are naturals for visiting and playing at world famous golf courses. I bet you can even find interesting golf courses in countries that don't make you think of golf at all. I remember a funny little course in Bamako, Mali... but.... another time. You could splurge on one of the Orient Express type trains that are popping up all over the world. Or just use trains in Europe to get from city to city. Those high speed trains are amazing. 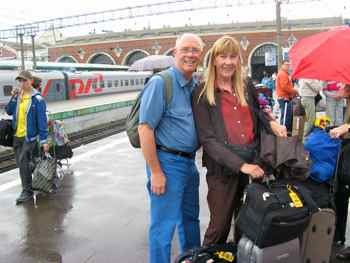 We took a trip on the Trans-Siberian Railway. That was a friend's idea... but we had a great time. We've also been known to look for air shows and air museums around the world. We love 'em so much we have another whole website just about antique airplanes. 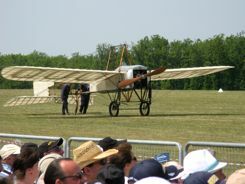 We've seen great air shows in England and France. There are interesting aviation museums all over the world. In Budapest one trip, that got us out to Varosliget (the city park) where we were looking for the Transport Museum. There was some sort of a festival going on that day. We would never have known about the festival if we hadn't been looking for that air museum.... and that local festival was lots of fun. The bonus was, the museum was free because of the festival! Do you love gardening? There are lots of garden tours all over the world. And you don't even need to join a tour.... there are many stately homes that are famous for their gardens that are open to tourists. Bird watching can take you all over the world, either with organized tours, or just going on your own. Some fanatic birders plan whole trips just to see one rare bird. We take binoculars with us on almost every trip. 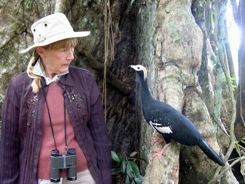 Sometimes you don't even need them... meet my new best friend in Peru... A Blue-throated Piping Guan. We never knew why he was so curious. The staff couldn't believe this one! How about cars? If you love cars, you can go see where they are manufactured in Europe... see museums with old Porches, Fiats and Ferraris. There are rallies for great old cars in the U.S. and Europe. Visit Italy when they are running the Mille Miglia and see old Maseratis, Bugattis, Cisitalias and Lamborghinis racing through the streets of cities and countryside starting in Brescia. We watched them zoom past the Duomo in Florence one time... Great fun. Those hobbies that get you outside and get you excited will keep you loving your trip and keep you fresh for that next museum, so use your hobbies for trip ideas and enjoy your travel even more.